"Don't Blink" is a now available as an option on this listing! Bad Wolf wrap around solid .925 sterling silver band ring. 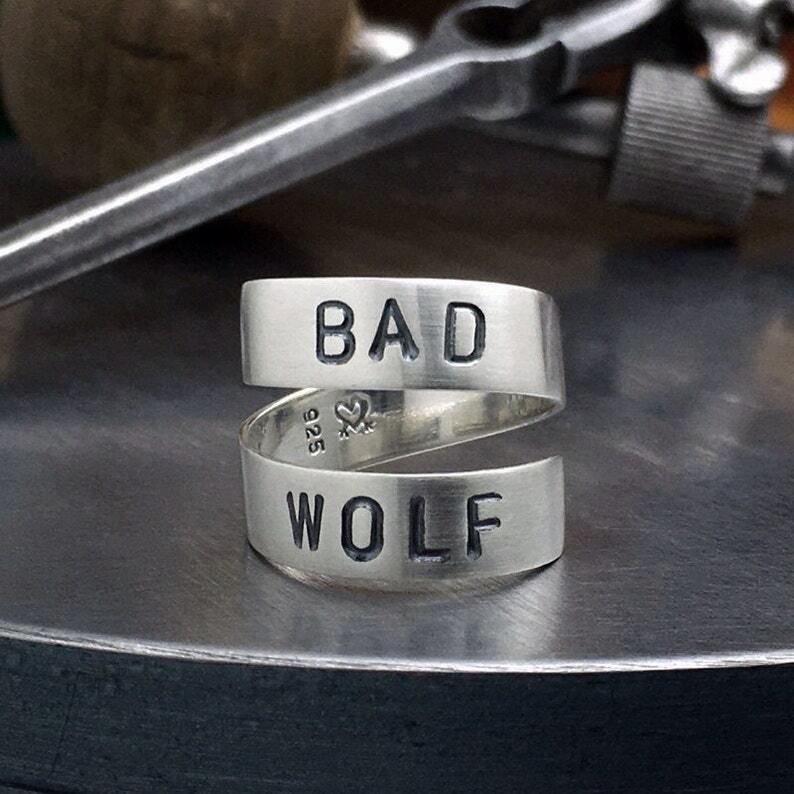 Bad Wolf ring. Sterling Silver Dr. Who band ring. Whovian ring. Rose Tyler (the Dr's Companion) inspired Bad Wolf ring. For your favorite Dr. Who fan. Maybe that's you! .925 sterling silver, hand sawn from a sheet of 20 gauge (.81mm) sterling silver then hand stamped with your requested quote. I then anneal the metal and shape it into a wrap around ring. Once formed, I oxidize (darken) the letters and texture the surface with a brushed matte finish. The inside of the ring is polished to a smooth, shiny surface with a contoured edge for a more comfortable fit. My hallmark, the chickenheart, is stamped inside the band alongside a 925. These stamps guarantee that your ring was made by me, tinkerSue, and that the metal is .925 solid sterling silver. *Each ring is Made to Order. Please allow 1 to 2 weeks for me to create your ring. The photos are representative of the ring you will receive. Since each ring is handmade, and each letter is hand stamped, there may be slight variations in alignment and spacing. That is what makes them so special! This ring is a wrap around ring so there is a little leeway in sizing. Each ring may be GENTLY pulled out or pushed in to make up for about one-half size. For example, a Size 8 can be pulled to fit up to a size 8 1/2 or pushed together to make it smaller to about a 7 1/2. I only offer this ring in sizes 7, 8 & 9 USA to account for the size of the letters and how they best fit on the ring. Be sure to choose your Ring Size upon purchase. sterling silver hello sweetie ring. Dr. Who ring for your favorite Doctor Who fan. 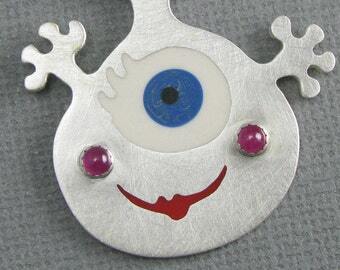 Whovian jewelry. River Song quote. Wraparound band ring. solid sterling silver scrabble inspired tile pendant. mirror polish. silver tile initial pendant. custom letter pendant.